Exceptional hair nutrition shampoo for normal to slightly dry hair. 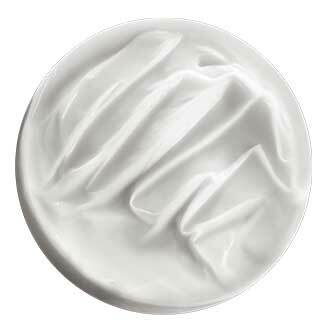 Bain Satin 1 Shampoo is rated 4.3 out of 5 by 9. Apply a quarter size amount of Bain Satin 1 to wet hair and scalp, massage head using palms of hands, emulsify and rinse thoroughly. Gentle shampoo that cleanses the hair while providing optimal fiber nutrition for Normal to Slightly Dry Hair. Rated 2 out of 5 by Harrobbed from keep changing product This used to be my favourite shampoo. But not anymore as Kerastase has changed it. Earlier it used to be milky in color and now it is transparent and very fluid. I am okay with the color change but it does not do the job. It makes hair dry and gives more volume to already thick hair. Rated 5 out of 5 by JamB from Great for dry hair I use this in between the Discipline collection esp if I find my hair dry and dull . Hair texture improves and it nourishes hair after use. Rated 4 out of 5 by Blondie from This product had great fragrance texture and a small amount is all thats needed to get great smelling suds! Smells great...lathers great. My omly complaint is that I was charged shipping. Rated 5 out of 5 by janetsui from Amazing Shampoo, a bit pricey This is an excellent shampoo for all hair types. Even if I have unruly hair, I find this shampoo works well with my hair. Rated 5 out of 5 by Monica from Perfect for my hair It seems that this Bain was made for me! I started my journey with Kérastase for over 3 years with Bain Nutri-Thermique because my hair was extremely dry. It took over 2 years for Bain Nutri-Thermique to make my hair feel soft and "normal" and now I am a very happy customer of Bain Satin 1 as it leaves my hair extra soft and with more volume than Nutri-Thermique. My hair continues to remain as soft as it did with Nutri-Thermique but I am now benefiting from the extra volume. Rated 5 out of 5 by Thickheaded from I am a faithful Kerastase user, and this is one of my favourites. My hair stays cleaner and looks great for extra days over other shampoos and conditioners. I love the results and the fragrance is lovely and calming. I love all Kerastase products and have used them for a few years and everyone comments on the healthy look of my hair. And, a little goes a long way. Rated 5 out of 5 by katklare from Amazing product for fine, dry hair I have fine hair that is finally all-natural and healthy after years of bleaching and extensions. This is the ONLY shampoo that is both moisturizing and light at the same time. Any other brand of 'moisturizing' shampoo I have tried has left my fine hair weighed down and looking oily. THIS DOES NOT. It moisturizes my hair and seals the ends, making my hair soft and extremely smooth. I always come back to this product and would recommend the entire line to everyone.